LOS ANGELES, CA (ANS) – Teen idol and singer/songwriter Justin Bieber says he is concentrating on his marriage and his mental health, and not on his music. In a lengthy Instagram post on Monday the singer explained that he sees the messages from his followers expressing a desire for a new album, according to a report by CNN. 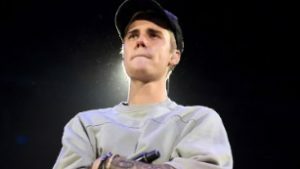 Bieber released his “Purpose” album in 2015 and two years later ended his tour early “due to unforeseen circumstances.” At the time he posted a letter on Instagram to explain the tour cancellation.